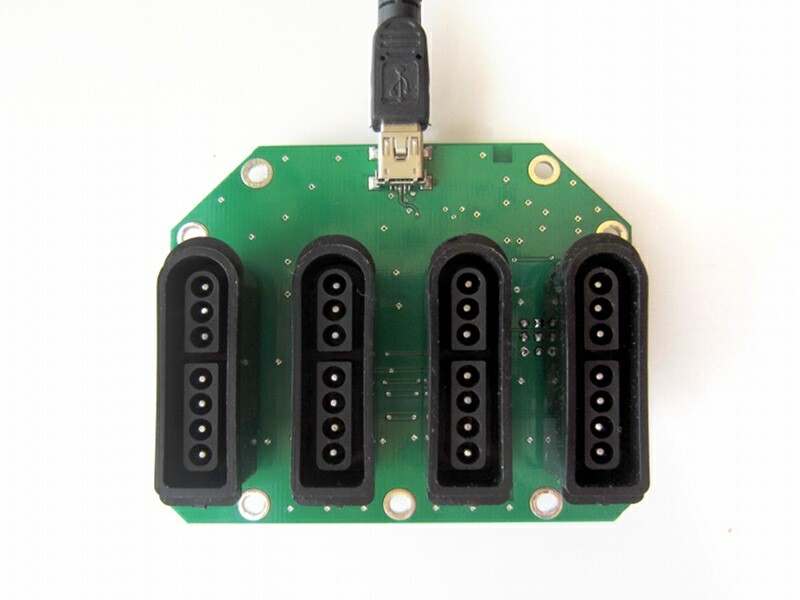 With this circuit, build you own four player SNES adapter. 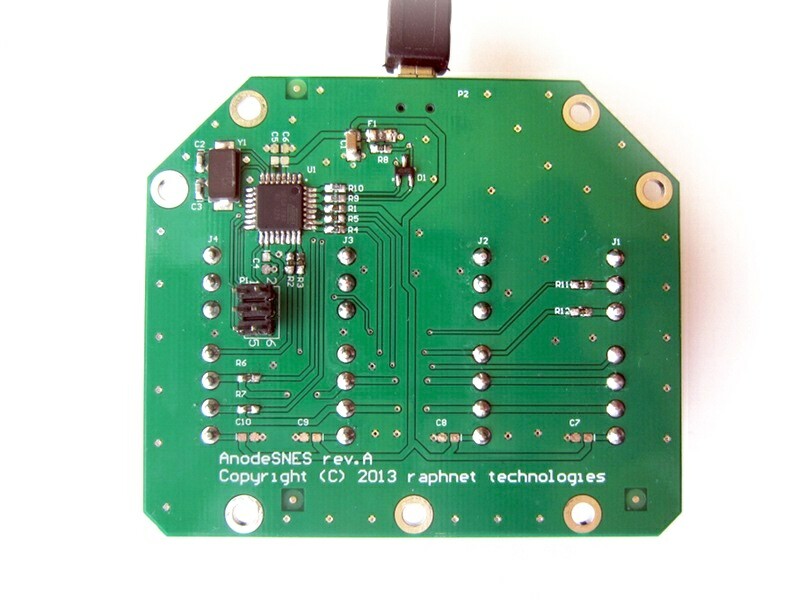 The board, already assembled and programmed, takes care of all the USB interfacing details so you can focus on the enclosure. 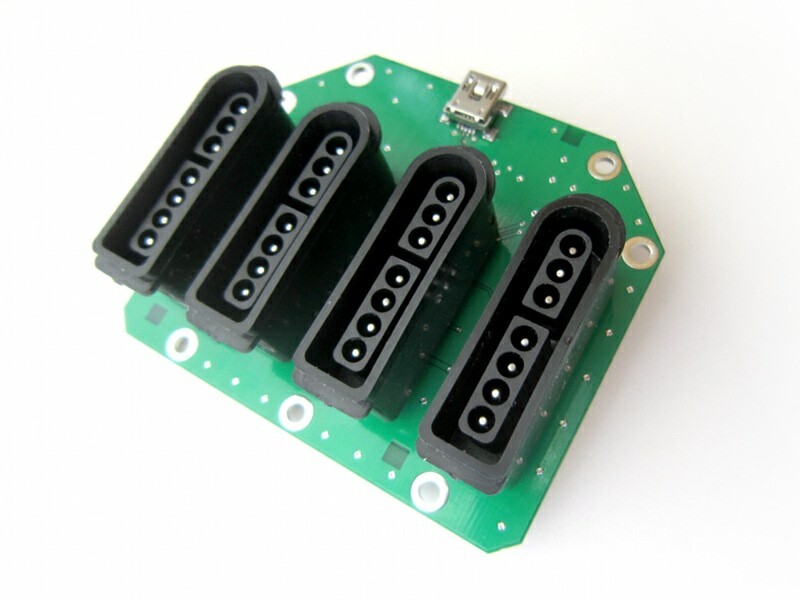 For greater flexibiliy, the only components left to solder are the connectors (included). Circuit board assembled except for the connectors. Enclosure. (You must provide one, using the unit without an enclosure is not recommended). 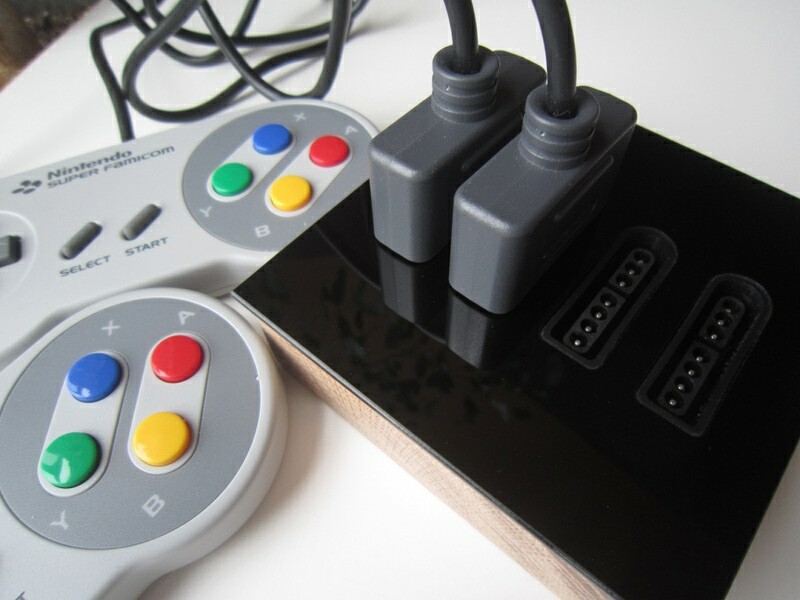 This product is an implementation of the following open source project: 4 NES/SNES to USB.